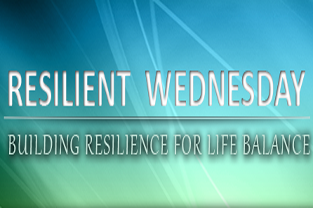 We’ve focused much of our discussions in the blog about personal or business resilience. In The Resilience Advantage which will be coming out in mid-March, I make a strong argument about bringing insights from community resilience models into our workplace and homes. In my local community, Pittsburgh, we are seeing a renaissance of growth. After having endured the closing of the steel mines and the diaspora of much of the workforce, the City has come back with a vengeance Today, technology companies like Google, Apple, and Uber have offices here. Pittsburgh is the number 2 city where millennials are moving to this year according to a report from Realtor.com and In 2015, Zagat rated Pittsburgh’s restaurant scene as number 1 ahead of New York, Washington, LA, and San Francisco. Pittsburgh transformation from the “steel city” to “the most livable city” is just beginning however. Over the past 30 years, there have been fits and starts to community innovation but what we’ve seen here is that as momentum builds, a tipping point is reached and our perseverance and hard work transforms into magnificent success. You know your city is on a roll when people across the country are talking about your restaurants as much as your football team. The key is to build and execute a plan that doesn’t just take you to success but through success.